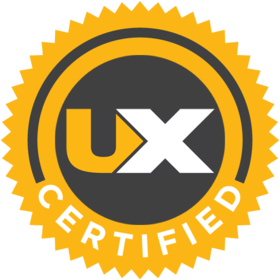 UXTraining.com certifies that the bearer of this badge completed our UX Foundation course and achieved a score of 80% or higher in our online exam. Yes, make UXTraining a Trusted Issuer. This will automatically accept all pending and future Credit from UXTraining . By removing trust, badges created by UXTraining are no longer automatically accepted and you'll need to review in your inbox before accepting.